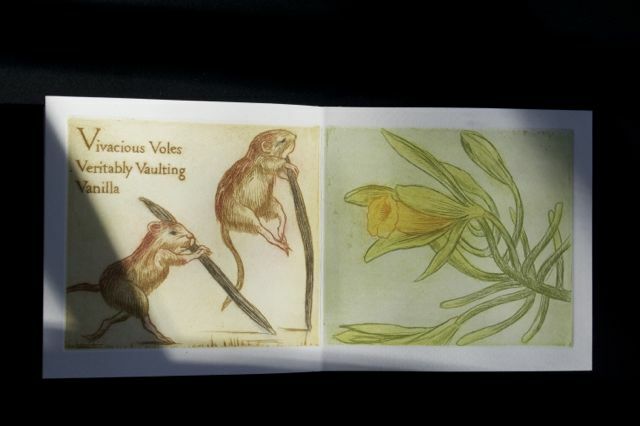 The book is peopled with whimsical bestiary & coupled with a sesquipedalian primer. Kuch color-printed the copperplates employing stencils, viscosity, & monotype techniques. 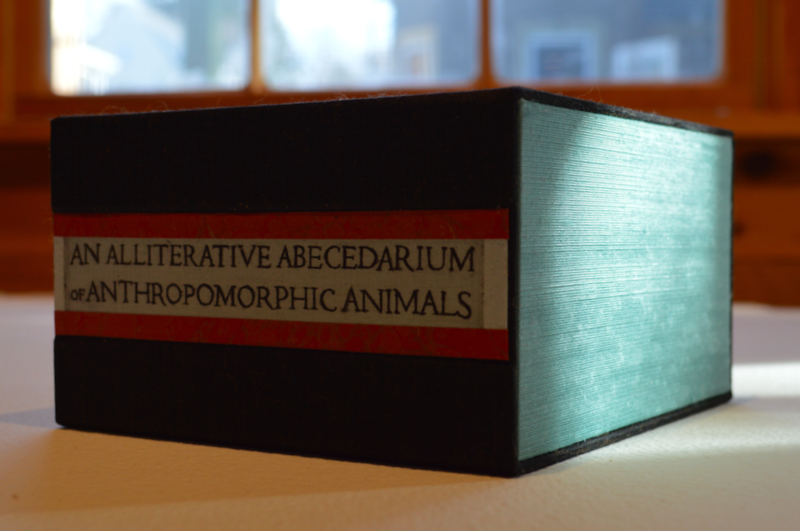 The patent pending, artist designed, magnetic spine allows the accordion book to be handled without unintentionally fanning out, yet the book is easily expanded for exhibition.